of Religion in Great-Britain & America For the Year 1743. Saturday January 14. 1743. No. 46. Extract of a Letter from the Rev. Mr. William M’Culloch in Scotland to the Rev. Mr. Prince of Boston. I thought to have written you at Large, concerning the State of religion in this Country; but I suppose this may be done by Mr. Hamilton of Baroney or some other, Only we have had two very comfortable Sacrament-Occasions here this Season; at both of which there was a vast Concourse of People. At one on the 29th of May last, there were about fourteen Hundred Communicants; At another last Lord’s-Day, about two Thousand Communicants. Extract of a Letter from the Rev. Mr. M’Culloch to the Rev. Mr. Edwards of Northampton. 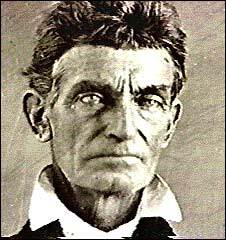 John Brown is without a doubt one of the most fascinating characters of the pre-Civil War era… and one of the most polarizing. So we pose this question: was John Brown a madman or a martyr (or something in between)? Thomas Jefferson: Christian or Deist? Was Thomas Jefferson a Christian or Deist? Welcome to the Christian History Society of America forum! Feel free to comment on posted material about Christian history. When done, click HERE to return to the Christian History Society homepage.